Another entry for the current card challenge (see the previous one here). 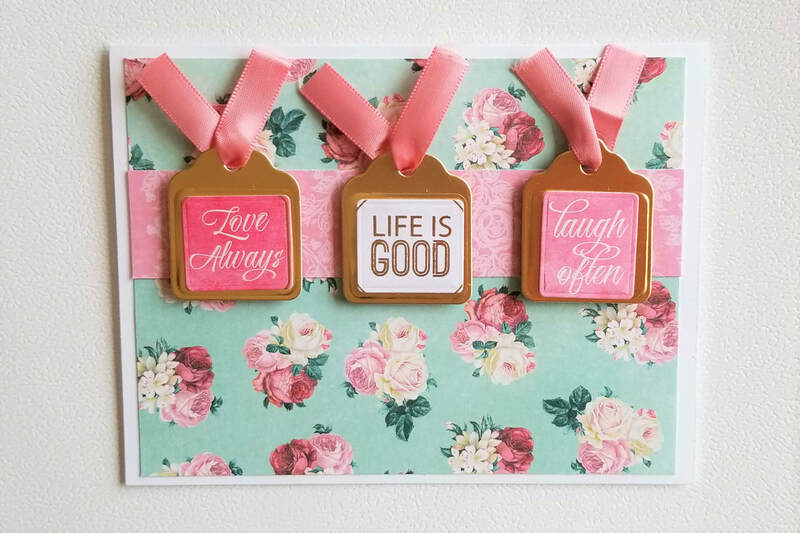 The mirror cardstock lived up to its name--enjoy the glimpse into the craft room! MFT Card Challenges are always due on Tuesdays at noon Eastern time. 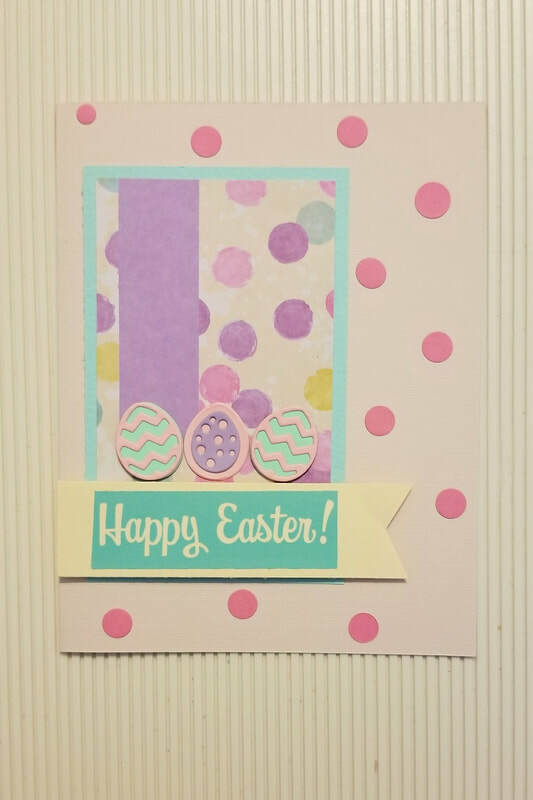 Today, at 11 Eastern, I decided to make a card for the current challenge. 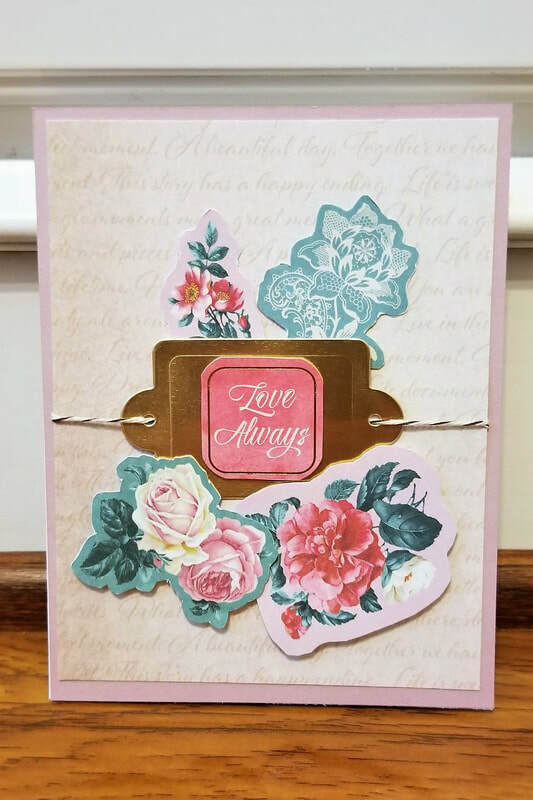 Between indecision, last-minute additional die-cutting, and slow website loading, this may be the last card in the link party, but it squeezed in before the deadline. 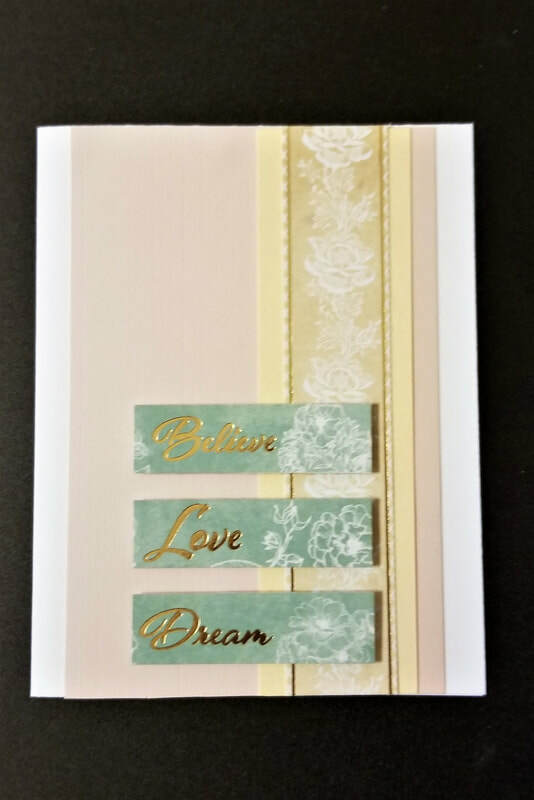 Not the best photograph or the most artistic card ever, but it will do for now! Yesterday's card turned a portrait-oriented layout into landscape mode. Today's is upside down. How many more permutations are there to explore before the Tuesday challenge deadline? 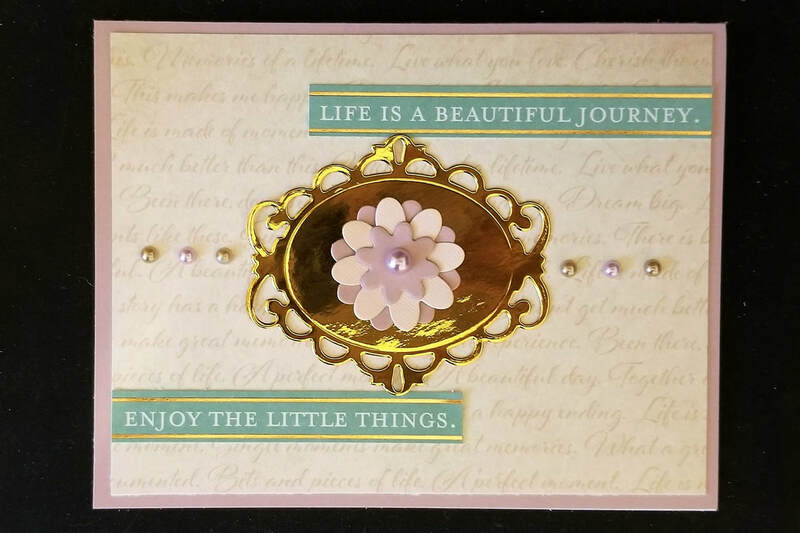 This week's MFT card challenge was much more to my taste, as evidenced by the fact that my first entry is complete within hours of the sketch being revealed! It was fun to use a few little pieces of the ribbon that usually languishes in the stash. King Arthur Flour sent this recipe for Pancake Bread, so I doubled it and made 24 Maple Muffins. Baked at 350 for about 16 minutes, because they were muffins, not a loaf! I also didn't put in the recommended maple extract or wait eight hours to eat one. They had a lovely flavor because of all the fancy sugars. 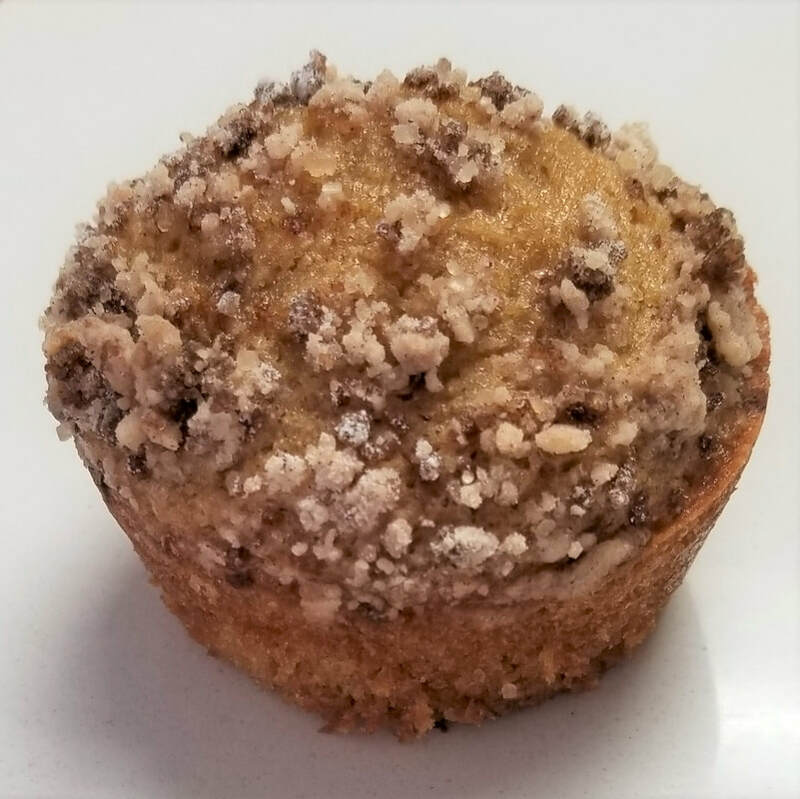 Not sure what I think of the streusel--it was a crunchier texture than what I typically make, but it tasted okay. 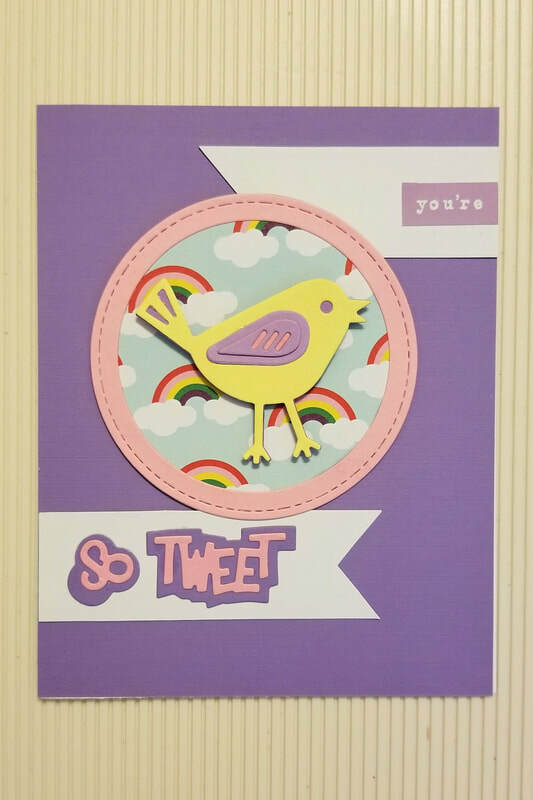 This card is 5.5" square, because that is approximately the size of the corresponding birthday present. 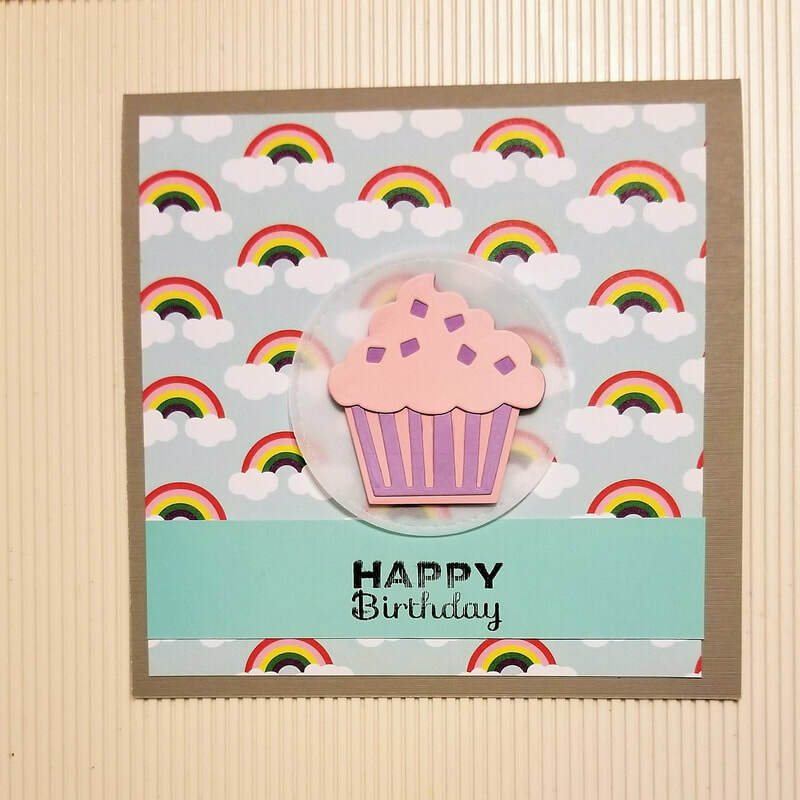 The latest MFT birthday project challenge is to use rainbows, hence the fun background paper. 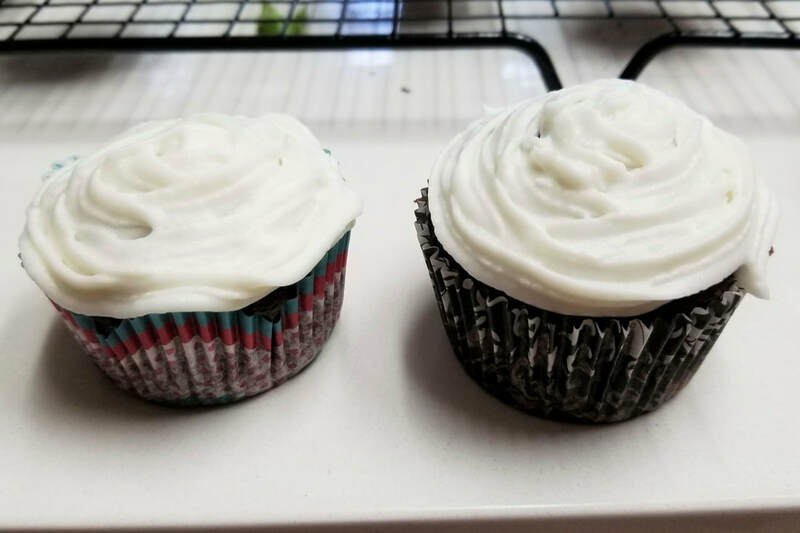 We had six children for Friday fun, so of course two of them wanted to bake cupcakes! Abigail chose scalloped floral papers (left) and Benjamin chose a black-and-white motif (right). We used a chocolate cake mix. Abby measured the oil, and we each cracked an egg. They could use more practice with eggs, so we definitely need to make more cupcakes together! ​The children were having so much fun playing together that nobody asked to put sprinkles on top of the vanilla buttercream frosting. In the best spirit of baking, the young bakers shared their creations with everyone after dinner, and the leftovers all went home. It was a good day. 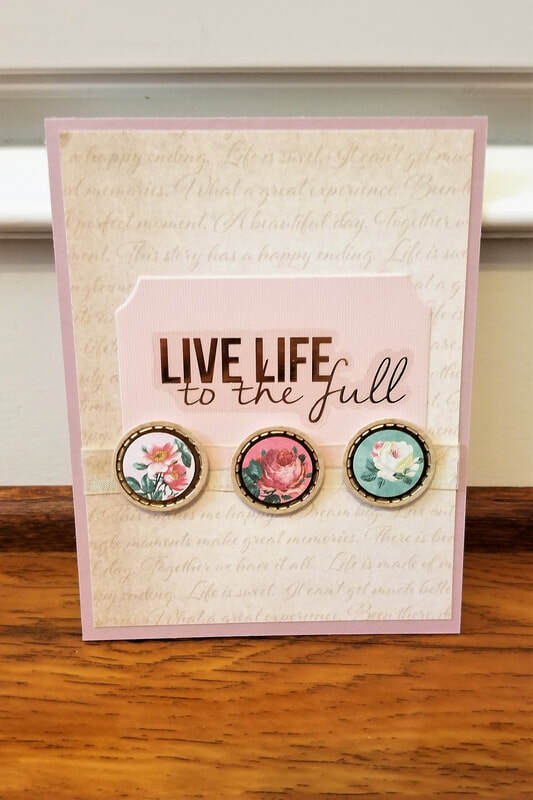 The author curates an extensive collection of cupcake papers, sprinkles, yarn, paper, stickers, and sheet music, and attempts to find uses for said items. Copy the link above to add Cupcakes and Cherry Blossoms to your RSS Feed of choice!